In Windows I used PuTTY for SSH. Linux uses OpenSSH, exactly like Mac today uses. Perfect and no hassle to transition between. Also Windows now has the Bash shell in Windows 10 which can install OpenSSH too. Finally the cross-platform options are becoming available to us. I’ve always parsed PuTTY as Pu-TTY. Does your IP address need to be static to do this? No, you can connect to any IP (dynamic or static) as long as you have the IP address, domain, and a login. I never use IP address for anything. Using IP address is a bad idea because it changes. 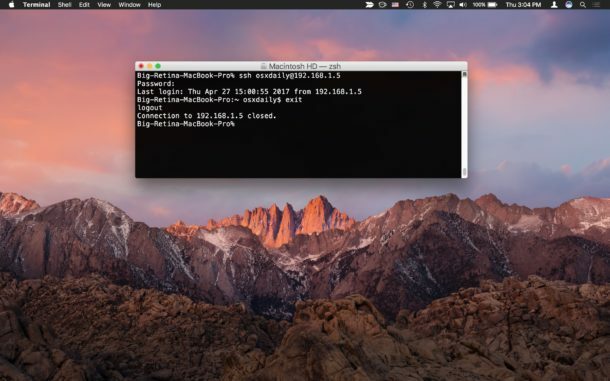 The Mac sets up mDNS by default with local domain. So “Joe’s Mac” becomes “joes-mac.local”. Also if you use the same username that’s redundant. So … to run SSH, you use the ssh command? What a shocker. Great contribution Fnord, now you understand ssh more. How many people thought there was an app for ssh rather than command like Fnord? I use a gui client that saves username and password. As a sysadmin I need to connect to a lot of remote systems and all have unique and long passwords or (strongly recommended) public key authentication. The GUI also provides other easy to use tools. I understand it’s possible to save credentials in the Mac SSH client but it’s a faff and the additional tools offered by clients such as the excellent BitwiseSSH are sorely missed. Ditto on the pub key authentication, though that takes some doing to setup, but it is more secure. This is not generally recommended, but my work environment is isolated and dup servers cause host checking to fail and I would need to remove or edit the known_hosts every time servers interchange. I created some applescripts to login for me, they store\retrieve passwords from keychain on my Mac, and send a variety of commands to gain access to certain shells that some servers use to manage the services, often the login routine involves 5-7 steps so the scripts handle all of that for me. Mac advertises SSH availability using mDNS (Bonjour). You can see the list in Terminal, if you choose Shell > New Remote Connection. Anything you can do at the command line can be done through ssh, assuming appropriate user privileges – this is why it’s so widely used for systems administration and by advanced users, and much less relevant to neophytes and the less technically inclined. If you want to give someone remote access for troubleshooting purposes and you’re a novice, a better approach is to use screen sharing instead. Let’s be honest, Screen Sharing is inevitable, sooner or later. OS X simply can’t be run headless in a satisfactory manner the way Linux can; that’s why my main Mac Mini server now runs Linux instead. As an IT professional that stays within the nix environments. I use this feature all the time when connecting to Linux servers. Linux and Unix were meant to be used headless its how they were originally designed to function. 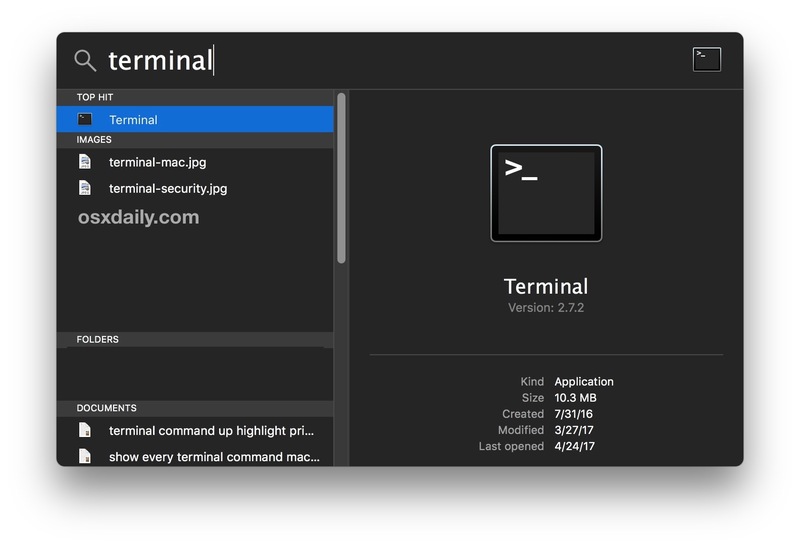 I think it’s great that you have brought the native SSH client in MacOS to light as it shows how versatile MacOS is and how it can be used in a professional environment. Wether your using SSH to connect to a Raspberry Pi or programming a Cisco Router. It doesn’t matter it works just the same. What is that black Finder window? Very nice. This step is just a pathway to connect your mobile phone/computer into server. I have successfully set up this both in mobile phone and in my own computer but I still find it complicated. Luckily, my friend also helped me to give an advise. Thank you! This was immensely helpful!